Like Santa, you’ll make your list and check it twice … do your research … then shop, shop, shop. Just remember to keep it local, because where you shop this holiday season is as important as what you buy. Aframian, who holds a master’s degree in social entrepreneurship and economic development and is co-founder of Redress Raleigh, which encourages socially responsible purchasing, also notes the community benefits of shopping local. Examples of these “rock stars” include Apex-based Moon and Lola, featured in Oprah’s Favorite Things 2014, and Durham’s White Whale Bold Mixers, a 2014 finalist in Martha Stewart’s American Made contest. The first phrase simply means shopping at stores located near your home, big box or otherwise. The latter means buying from locally-owned small businesses, and/or buying locally-produced goods. This season, try a blended approach of online research and in-person shopping to discover new businesses or rediscover old favorites; a recent Google survey predicts 2015 as the most “connected” holiday shopping season ever when it comes to online research. “Watch for upcoming holiday markets, and check the websites of the artists or vendors featured at them,” Aframian said. “Get familiar with their products and price ranges to guide your shopping process, and follow them on Facebook to learn about their participation in holiday pop-up shops or to get ‘this-just-in’ product information. “Check local downtown and chamber directories online. Then, shop in person,” Aframian said. “One, start early. Inventories are limited, so if you see something you want, get it then,” she said. “Two, read the website or talk to vendors about what they can and cannot do in terms of return or exchange. While by no means an exhaustive list, our Starting Points will give your gift-giving a push in the local direction, to co-op markets and shopping centers home to numerous locally-owned stores, such as Waverly Place and The Shoppes at Saltbox Village in Cary. 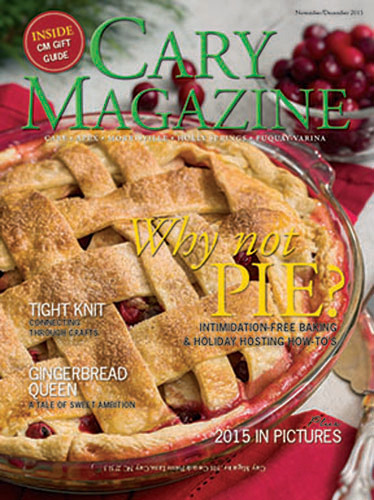 And Cary Magazine “shops local” in each of its We Love features, which can be found online under the self-named tab at CaryMagazine.com. 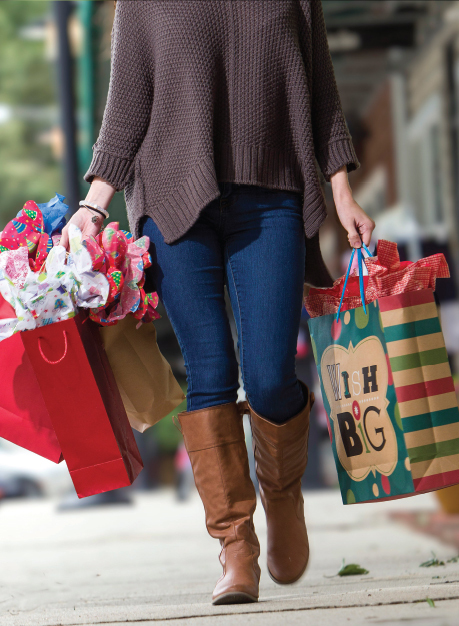 Do your gift-giving research online then “shop local” in person, across Western Wake! Locally-owned businesses sustain communities, link neighbors and contribute more to local causes. Decisions are made by people who live here and will feel their impact. Dollars spent in locally-owned businesses have three times the impact on our community as dollars spent at national chains. Local stores require little infrastructure and make more efficient use of public services. Vibrant, walkable town centers reduce sprawl, auto use, habitat loss and pollution. A marketplace of small businesses promotes competition, ensures innovation and lower prices long-term. Small businesses select products based on the needs of local customers.